just when i thought i had everything figured out, i wake up one morning with utter panic and pangs of confusion as i realize that i am completely lost. they say 27 is the age of confusion. i didn’t realize it could be true or this hard. as of now, there’s a 70% possibility of doing a complete 360 on my career. all my life i’ve always aimed at being streamlined, knowing what exactly i am doing and being able to strategically plan out my next steps. i grew up being the daughter that worked hard in making her parents proud but i’m afraid i’ve become a slight disappointment. as of now, i have this strong urge to just throw caution to the wind. spend my life savings. travel. bum at the beach. be careless. study fashion design. eat out. do nothing. tomorrow this can change but life’s been unpredictable and so are my feelings. i’ve been an hour late for work everyday for the past 3 weeks but i woke up early today and came in on time. so we’ll see. I love this look. The black cardigan's lovely. great for rainy season! I love long skirts, although I can never pull them off but I love seeing the awesome designs which everyone comes up with. I love the careless life. It's what I thrive for although I do still want to be a hard worker, get a good job with a good pay I think about freedom and it feels so relaxing whereas work is something that pins you down. Although I think, in the long run, I'd give up the carelss act for the career I really want. When I saw the skirt, I said “Jonathan Livingston Seagull” even if I haven't read the book (therefore I have no idea what that name could mean) and am not sure if they're indeed seagulls. Achieve your dreams!!! Do what youuuuuu want to do. Goodness that skirt is beautiful. I love everything about it. The colour, print, and length are all perfect! study fashion design -> i like this part, Gizelle! i love, love your maxi skirt! I wanna be careless for a while..bum in the beach… travel.. ohh i can totally relate!! btw your skirt is lovely!!! Welcome to my world. I'm 27 and feel the exact same way sometimes!! hope you figure things out! Do they really say that? 27 was an excellent year for me – I think I really started to come into my own. 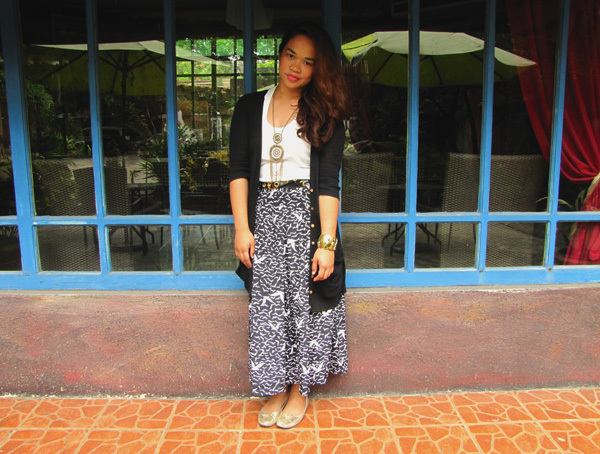 super love the print on your maxi skirt! what a good find!!! i totally understand the feeling G! We all go through this kind of confusing phase at least once in our lives. No matter, i know you'd find your way eventually. whatever you decide to do…am a hundred and one percent sure you'd be great!!! WOW,lovely maxi skirt!! !You look great! as they say- it's just a phase…you'll figure things out soon! love your skirt! 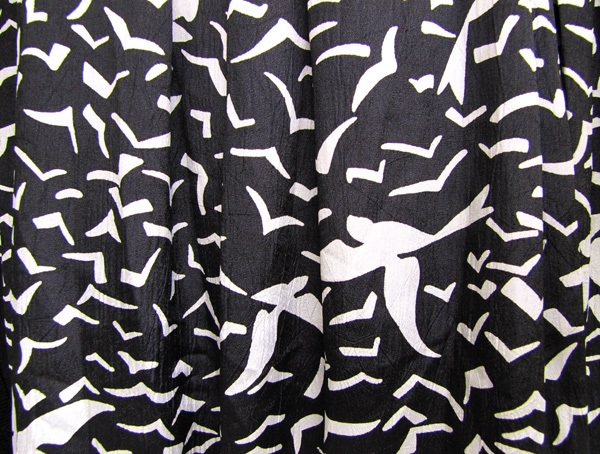 oh gosh, i'm a sucker for swallow birds and this skirt gets a thumbs up from me! 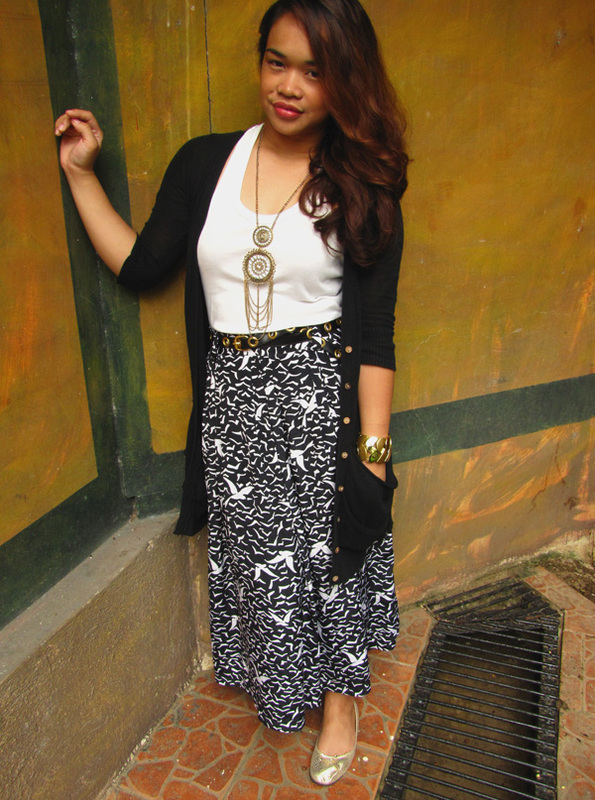 i love the print of your skirt and how you matched it with the necklace. honestly, you rock maxis!